Obstructive pulmonary disease outcomes in the United States differ between Latinos and non-Hispanic whites. There is little objective data about diagnosis prevalence and primary care visit frequency in these disease processes. 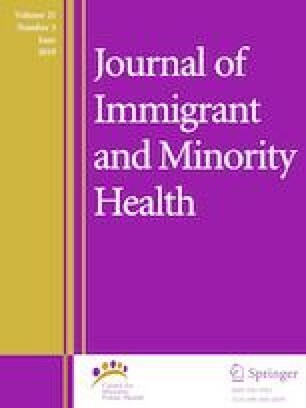 We used electronic health record data to perform a retrospective cohort analysis of 34,849 low-income patients seen at Oregon community health centers between 2009 and 2013 to assess joint racial/ethnic and insurance disparities in diagnosis and visit rates between Latino and non-Hispanic white patients. The overall study prevalence of obstructive lung disease was 18%. Latinos had lower odds of obstructive lung disease diagnosis (OR 0.37, 95% CI 0.30–0.44). Among those diagnosed prior to 2009, the uninsured (regardless of race/ethnicity) had lower visit rates during 2009–2013 than the insured. This study identified racial/ethnic disparities in the diagnosis of obstructive pulmonary disease between Latinos and non-Hispanic Whites, confirming trends observed in survey research but controlling for important confounders. Health insurance was associated with basic care utilization, suggesting that lack of health insurance could lessen the quality of care for obstructive pulmonary disease in Latino and non-Hispanic white patients. National Heart Lung, and Blood Institute. Asthma care quick reference diagnosing and managing asthma. 2011. https://www.nhlbi.nih.gov/files/docs/guidelines/asthma_qrg.pdf. Accessed 26 Dec 2017. Centers for Disease Control and Prevention. Chronic obstructive pulmonary disease among adults—United States, 2011 2012. https://www.cdc.gov/mmwr/preview/mmwrhtml/mm6146a2.htm. Accessed 26 Dec 2017. Centers for Disease Control and Prevention. Most recent asthma state or territory data 2017. https://www.cdc.gov/asthma/most_recent_data_states.htm. Accessed 26 Dec 2017.